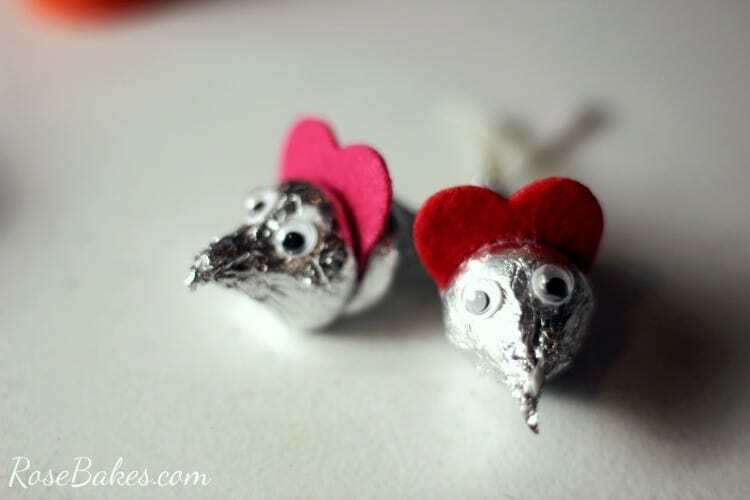 Today I’m going to share with you How to Make Valentine’s Hershey Kisses Mice – a sweet, easy little Valentine’s craft! Being crafty is not generally my “thing” but last week I had a very special cake order with a special request for these mice, so I had to get outside my comfort zone! In fact, they’re so easy that after I made about half of them, my 12 year old daughter asked if she could finish them for me…. and of course I said “yes”! 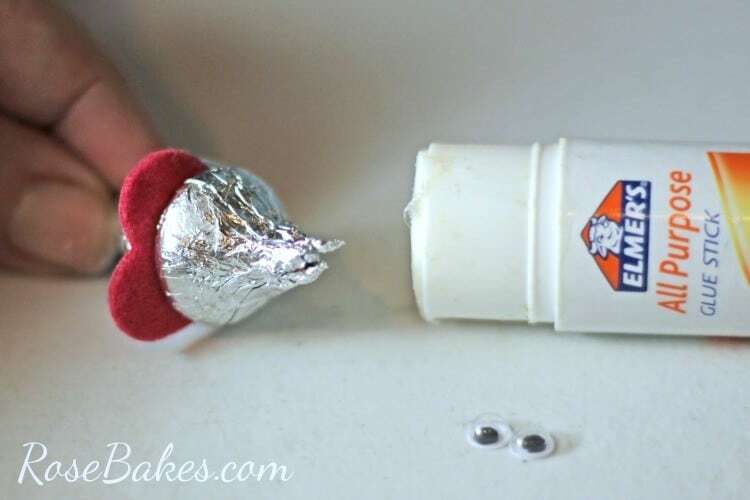 Glue – for my tutorial, I used stick glue. I think school glue would work as well, but it might require a little more drying time. Are ya ready? These are so easy, you’ll have them ready in a flash! Next peel the sticky back off of the heart and stick it to the bottom of a Kiss. If you’re not using the kind with sticky backs, use glue to attach it. 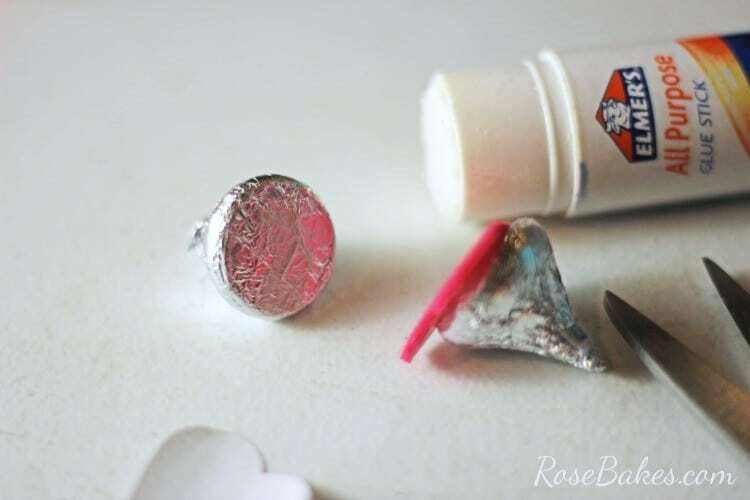 Then apply glue to the bottom of another kiss and press them together (bottom to bottom) – hold for a few seconds to make sure it adheres. .. then press the eyes on and cut a piece of ribbon around 2-3″ long. I also used a little dot of stick glue to attach the “tail” to the bottom of the Kiss on the back. For whatever reason, I didn’t take a good pic of the side of the mice so you could see the tail, but they’re there… promise! Let them dry for just a little while and they’re all set! You can also see that when my little girl took over, she used bigger googly eyes than I had used and they were super cute. We also mixed up the ears and used red and two shades of pink! 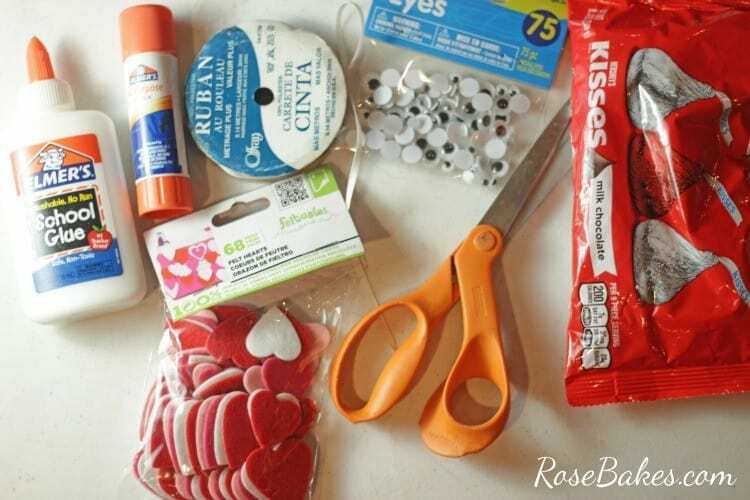 So in addition to being super cute for Valentine’s…. guess what else these little guys are perfect for? A Cinderella Party!! 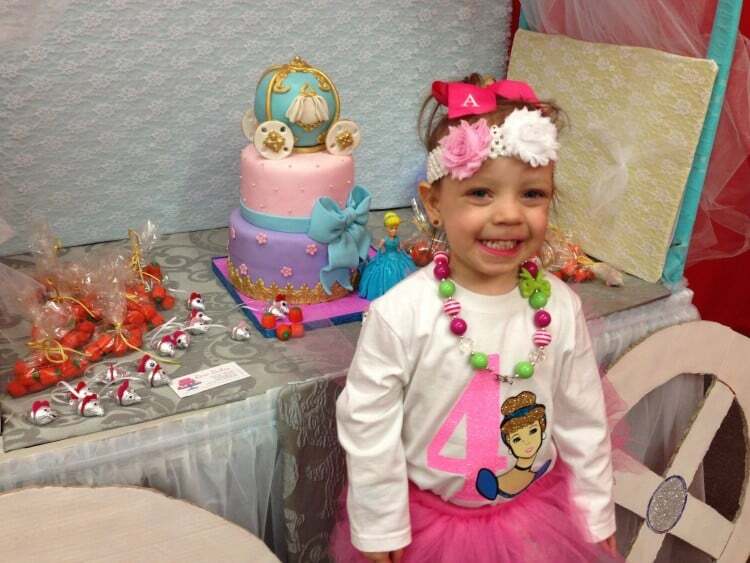 Sweet Analeise (aka Anaboo) is battling cancer and her dream was to have a big Cinderella Party to celebrate her 4th birthday last weekend! 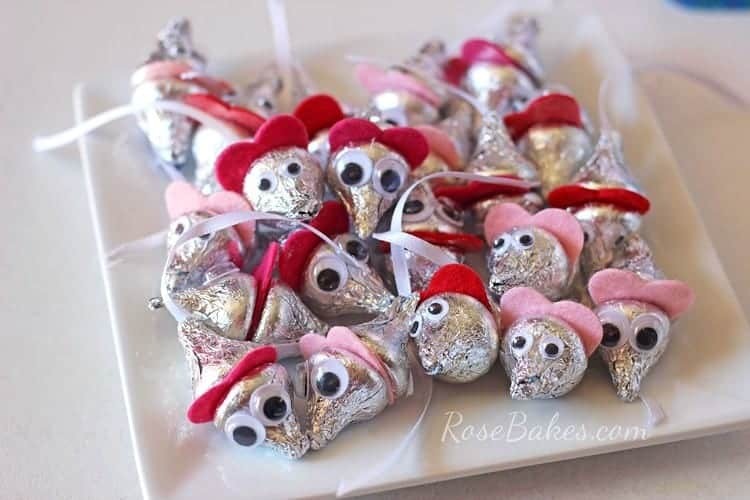 The Hershey Kisses Mice & the Bags of Pumpkins were perfect favors to complete her party! Please keep her in your prayers as she starts another round of chemo this week! 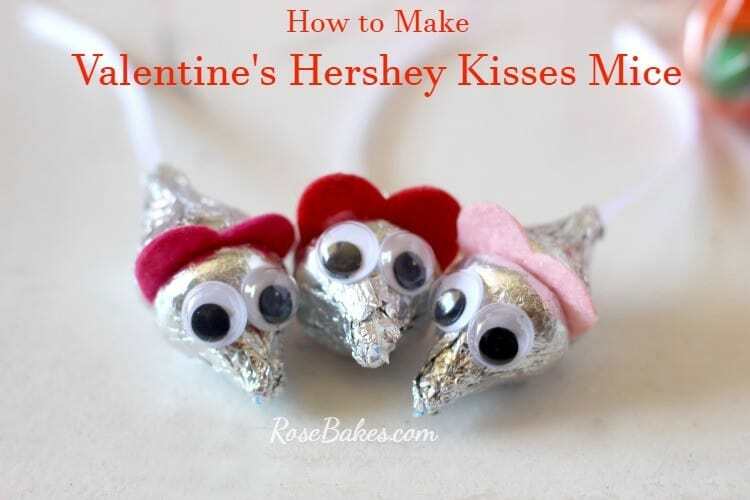 Okay – I’m off to bed now… I’d love to hear if you’ll be making some Valentine’s Hershey Kisses Mice! 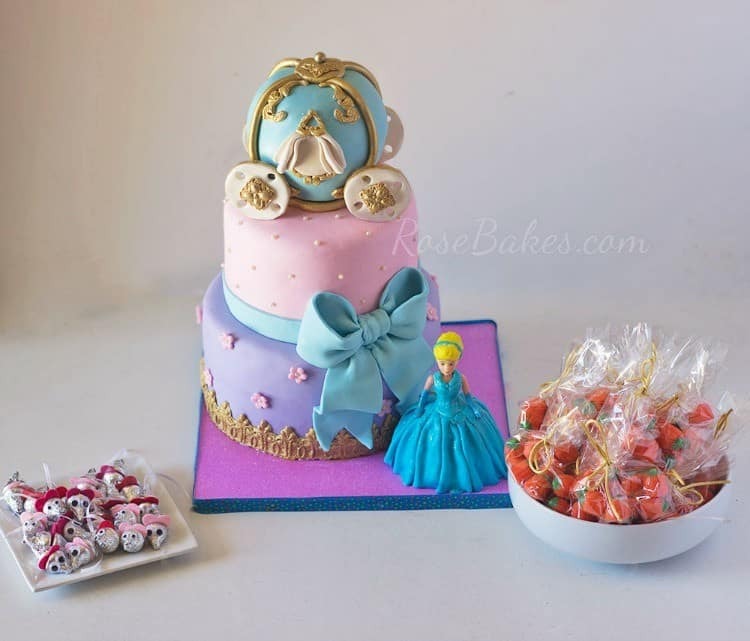 Or maybe even making them for a Cinderella Party! Your tutorial on starting a blog was invaluable. There’s quite a bit more to it than meets the eye. Fortunately, we did a couple things right. The rest I’ll have to learn as I go. This blog means the world to me and I do NOT want to commit any faux pas. How can you tell the difference on whether or not you need to get the bloggers permission before re~blogging a post? You are very young to have acquired so much knowledge. Thanks again, oh! 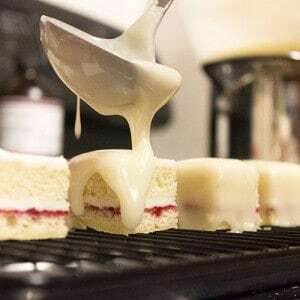 I forget to thank you for your tutorial on petit fours. These little mice are just too cute! Love it! Thank you – yes they would! 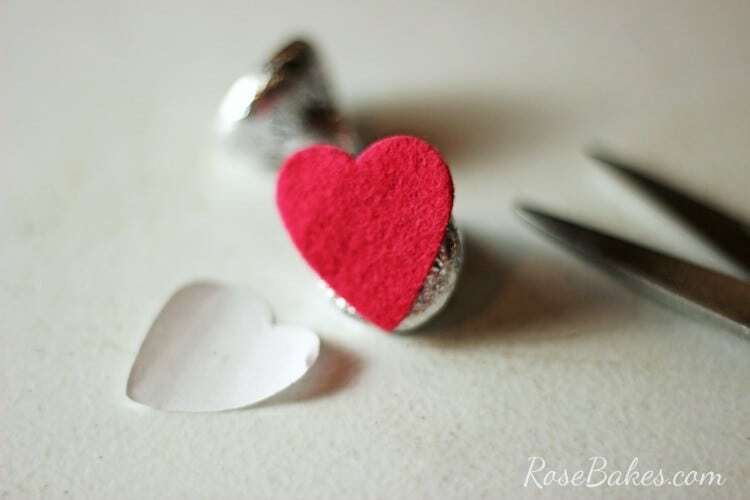 These are just adorable~ Great craft for kids~ Thanks for linking up to Merry Monday! Pinned & Sharing on Twitter! Have a great week! 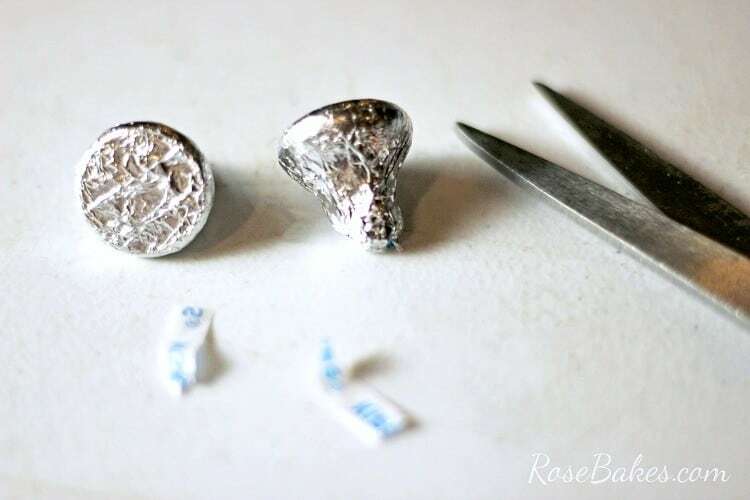 What a fun surprise these would be for kids to find in their lunchbox! Yeah – they really would! Cute and chocolate, good combination. 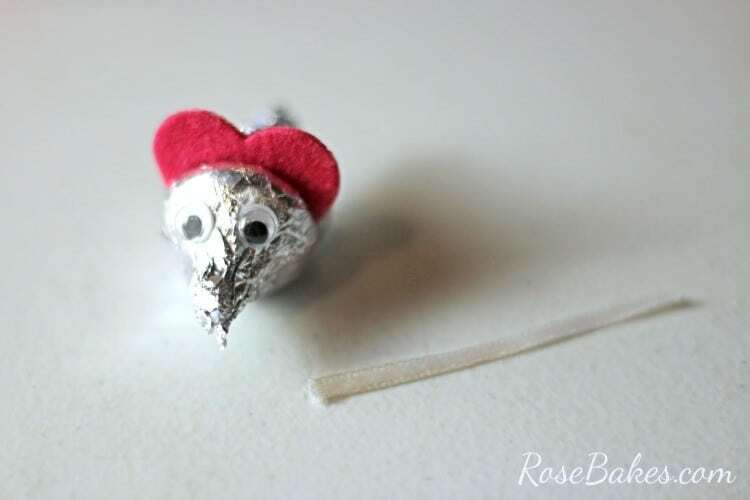 I love Hershey Kisses, and there are just adorable! Adorable! Any chance you bought the hearts online and could send me a link? Or, could you tell me where you got them, the brand, etc? Thanks! !